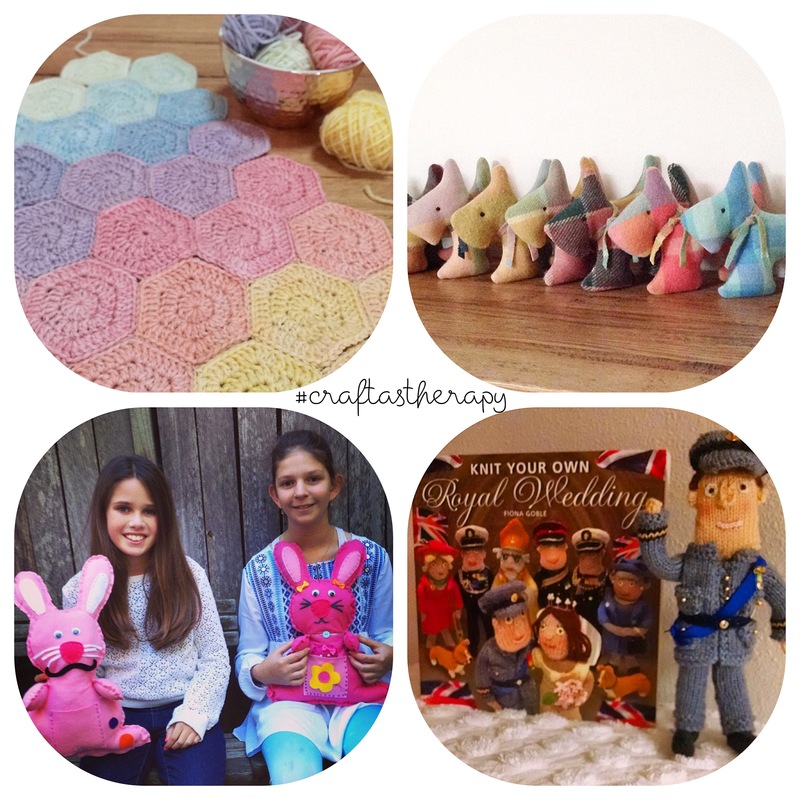 The past week i had the pleasure of being a moderator on Instagram for Craft as Therapy. 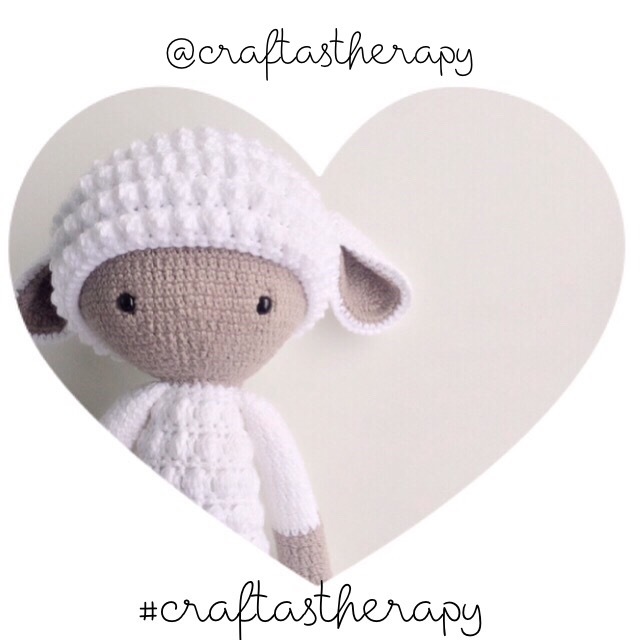 Craft as Therapy is a warm, friendly and wonderful community of crafters from all the around the world. Everyone is welcome to join! 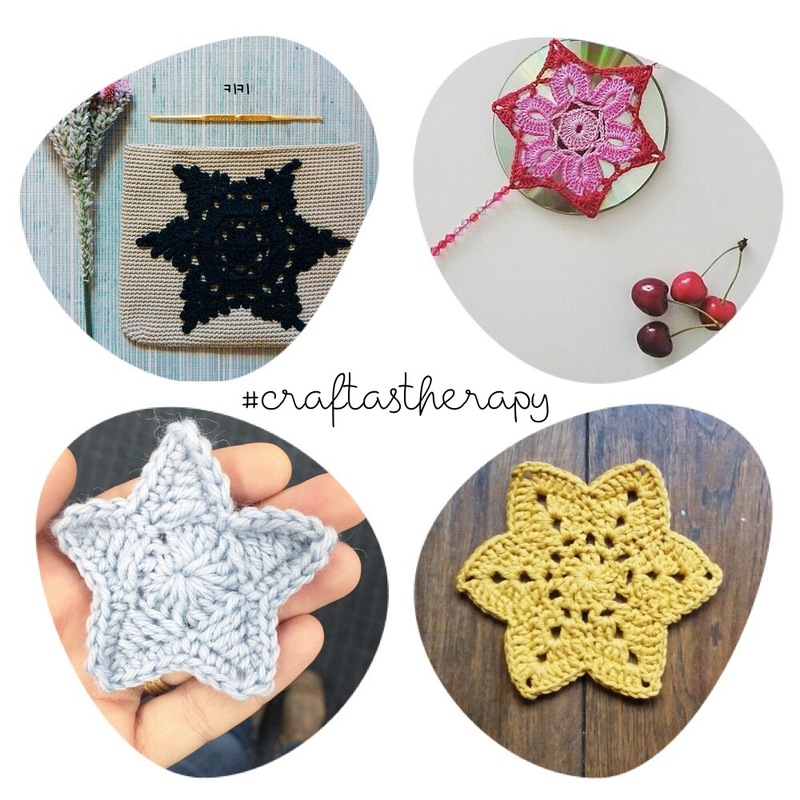 It’s mainly crafters who use their craft, as therapy for either an illness, an injury or just as a therapeutic way to relieve stress. 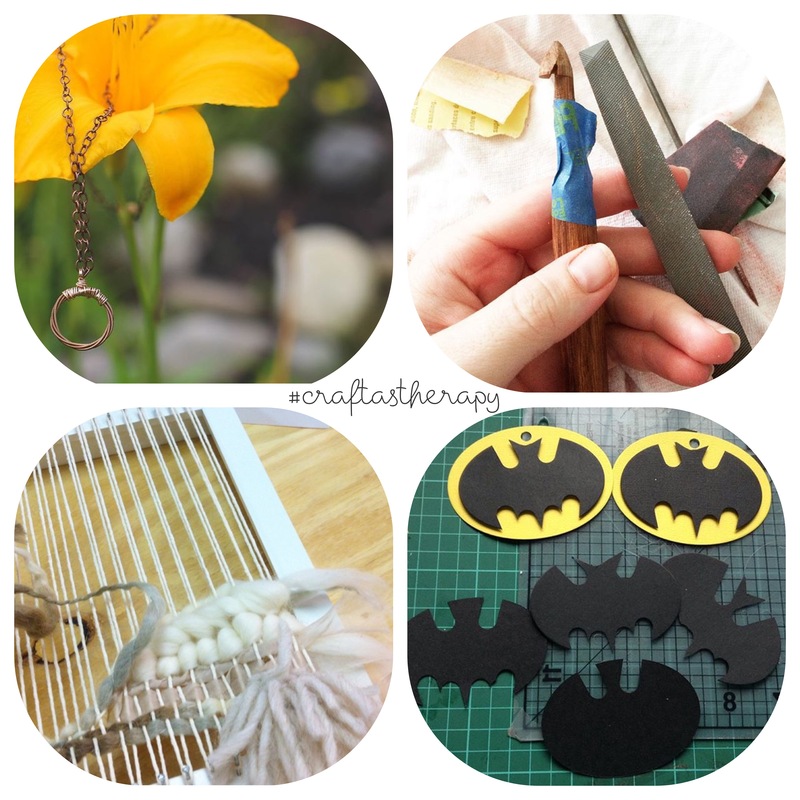 Founded by the beautiful Mandy @redagape_styleanddesign who created the tag #craftastherapy for crafters to use when they post photos of their creations. Quickly it became a sensation on Instagram, and Mandy founded the community for everyone to join and share, support each other, and chat about their stories. Mandy is a beautiful and dear friend, and I was so honoured to be asked to be one of the 12 moderators who now alternate a week, providing a different view and sharing our own craft as therapy stories. 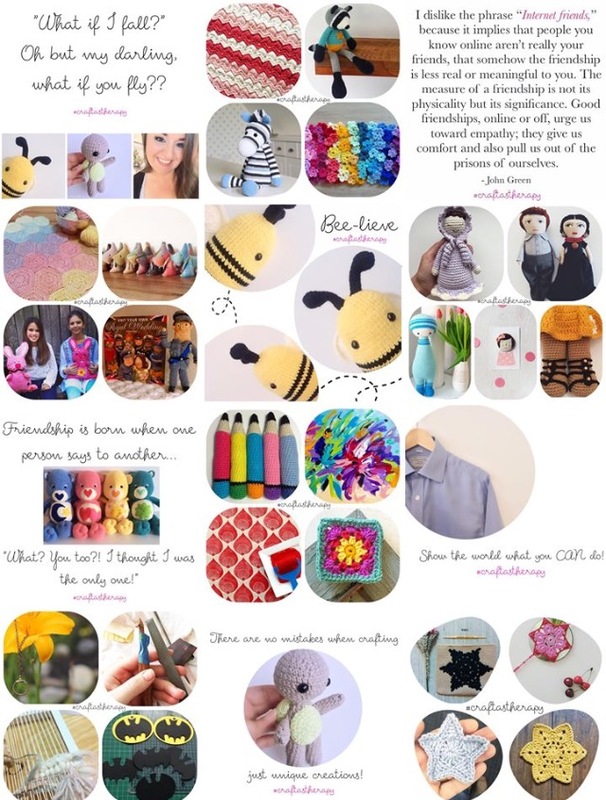 You can find Mandy’s blog here, where she shares more about the Craft as Therapy community, her crafts, amazing patterns, and photos of her gorgeous house (which i have a massive crush on!!). So here is an overview on my amazing week. A week I started petrified that by sharing my story, that I would have people running and hiding under the nearest rock. 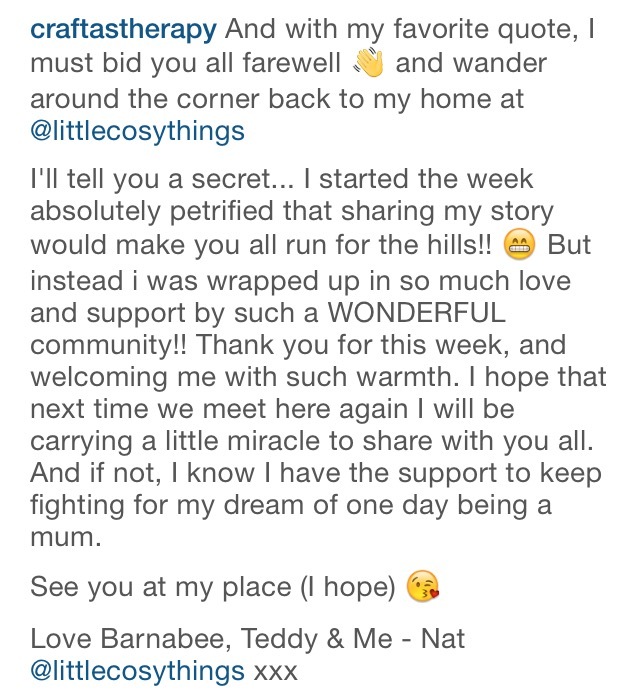 But instead, i was welcomed so warmly, and even encouraged others to share their own story of infertility. I will keep talking about my story, till i am blue in the face, in a hope to raise more awareness, and let others know they are not alone. 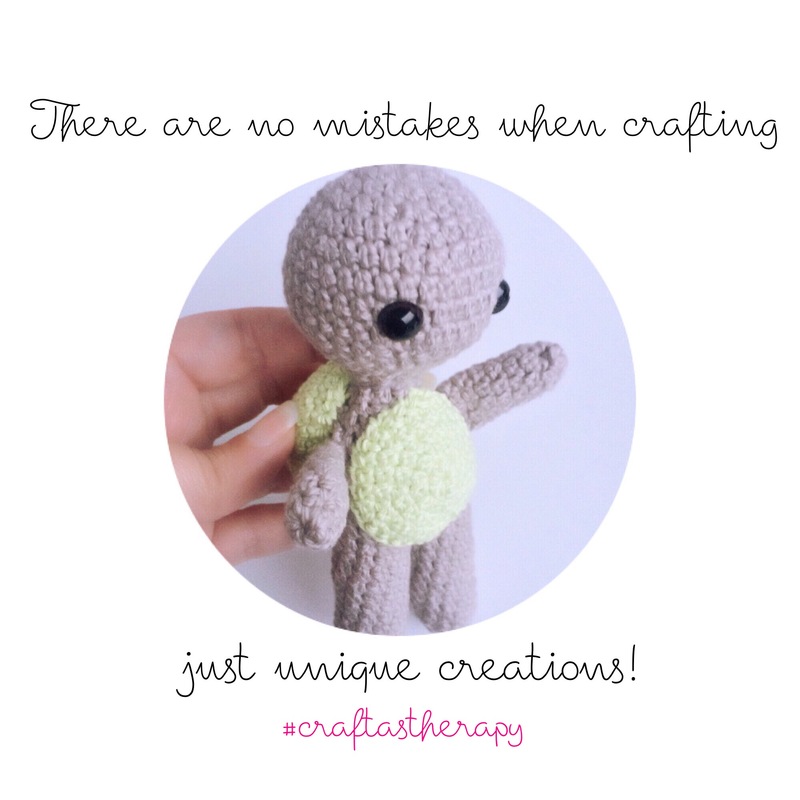 I began my week by introducing myself to the community and sharing a little bit about my infertility journey, my diagnosis of PCOS and endometrosis, and how crochet has become my therapy with coping with the loss and emotional stress. 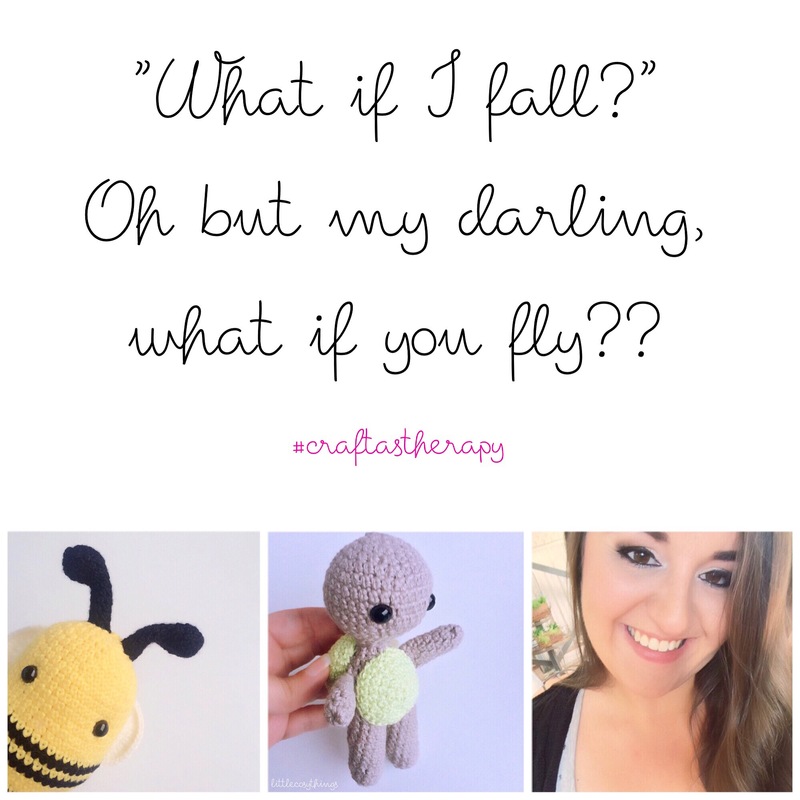 I was flooded with support, well wishes, and stories from other crafters who not only are on their own journey of infertility, but who have also overcome their struggle and welcomed little miracles of their own. 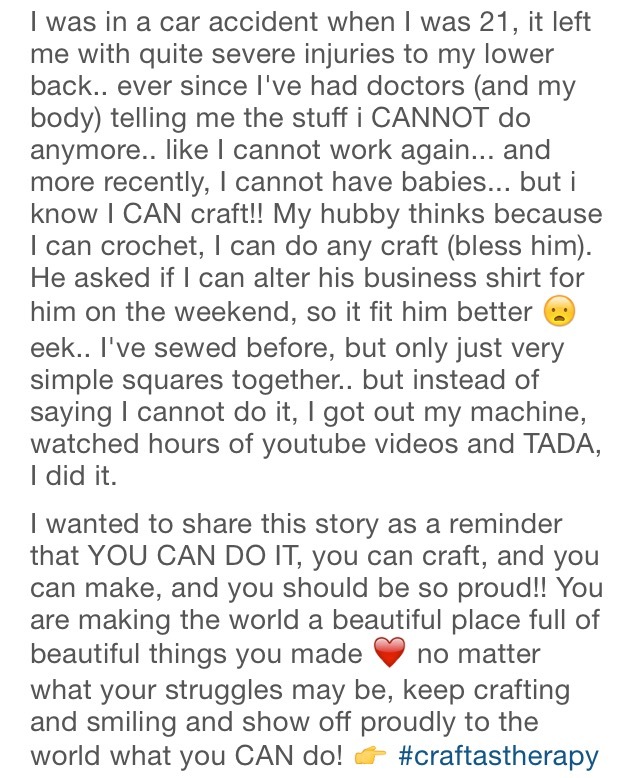 Truly inspirational, and such courage to share too. That night, I shared the story of Teddy the Turtle and how there are NO mistakes with crafting, just unique creations! 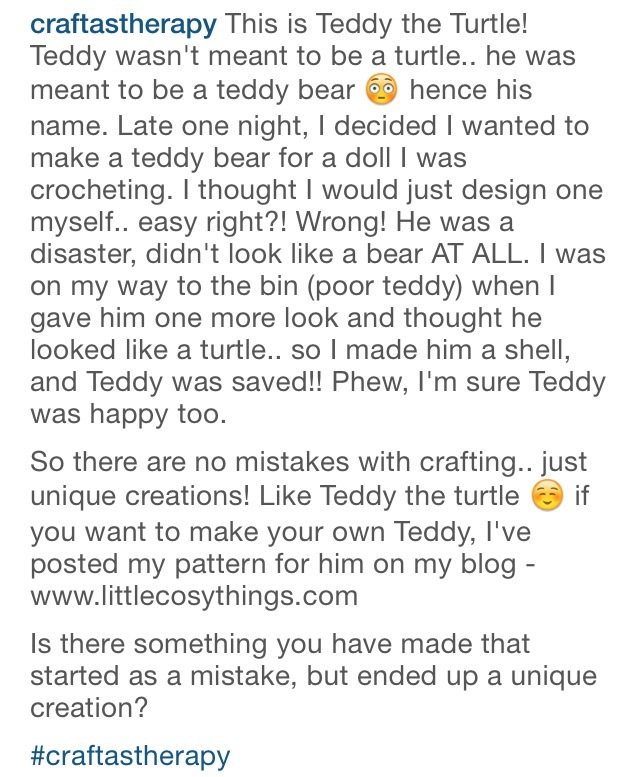 You can find my free pattern to make your own Teddy the Turtle here. 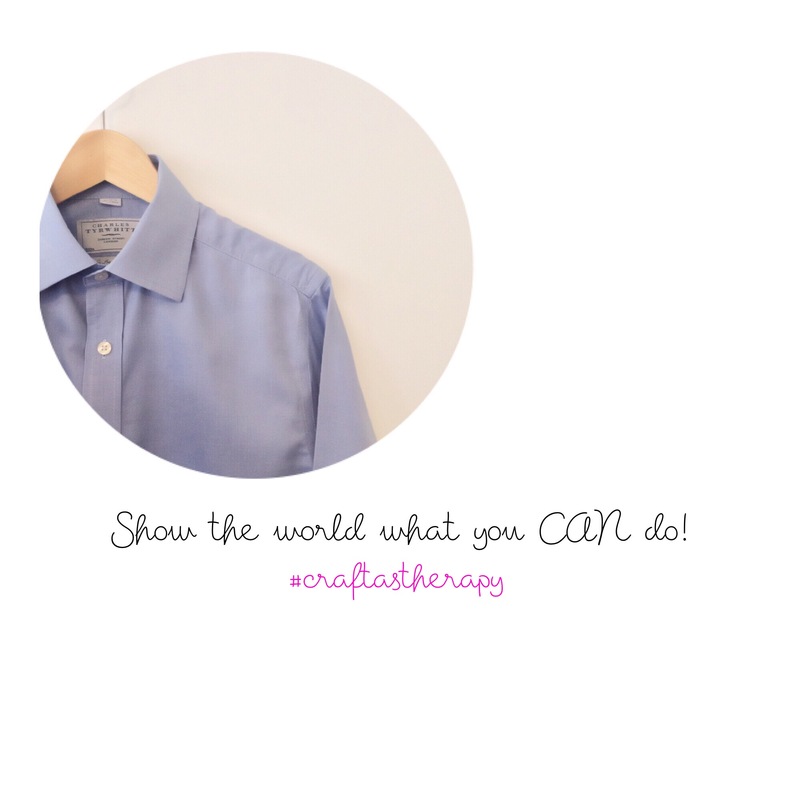 The next feature from the #craftastherapy gallery, showcased some beautiful creations!! Including some jewellery made from guitar strings!! How clever! Next was a story about how i altered by hubby’s shirt (proud moment!) and sharing with the world you CAN do!! 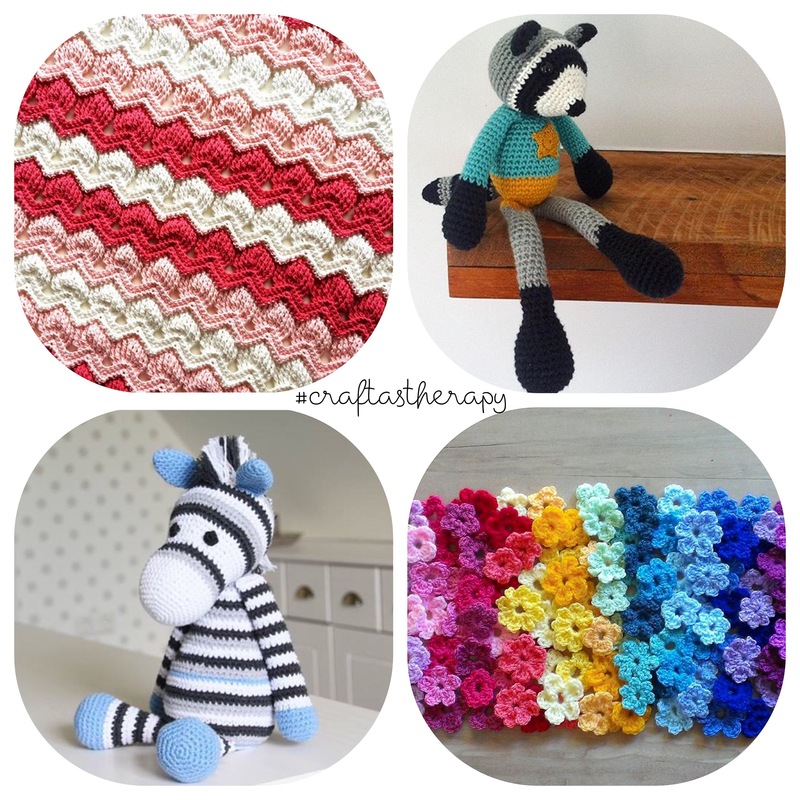 A bright and colourful feature from the #craftastherapy gallery!! I love how the colours popped off the screen, so much creativity. 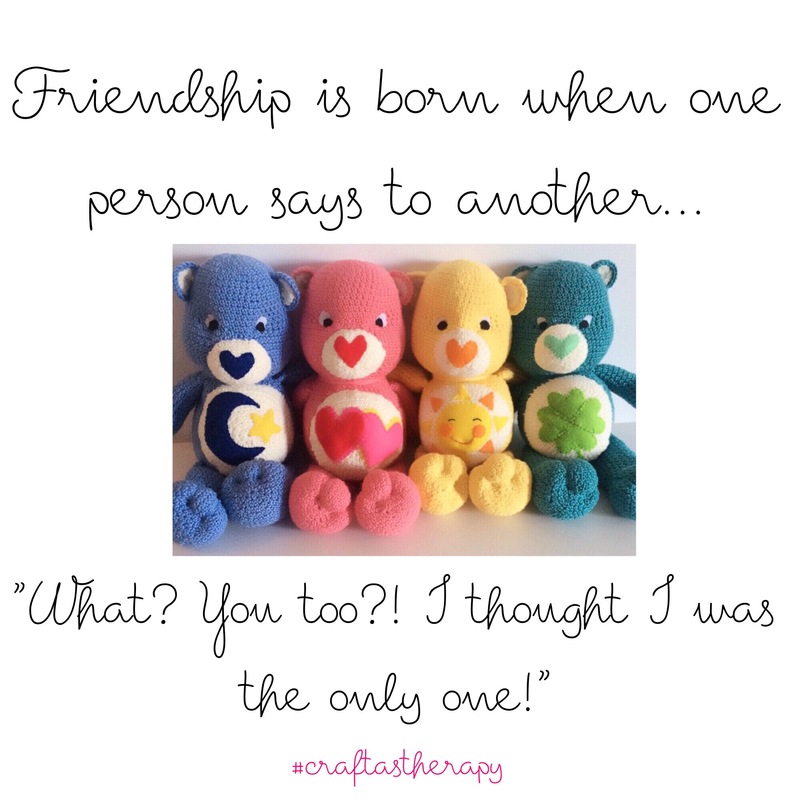 Then we celebrated how friendship is born.. by one person saying to another person “What? You too? 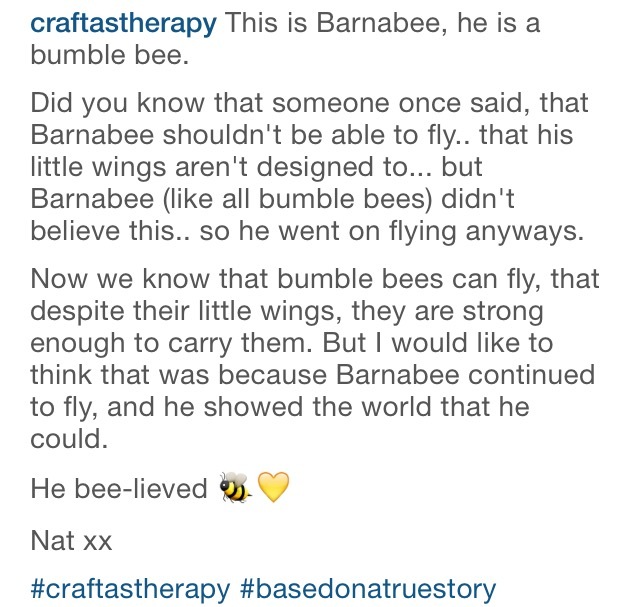 !” and celebrated over 2,600 new friends in the Craft as Therapy community! 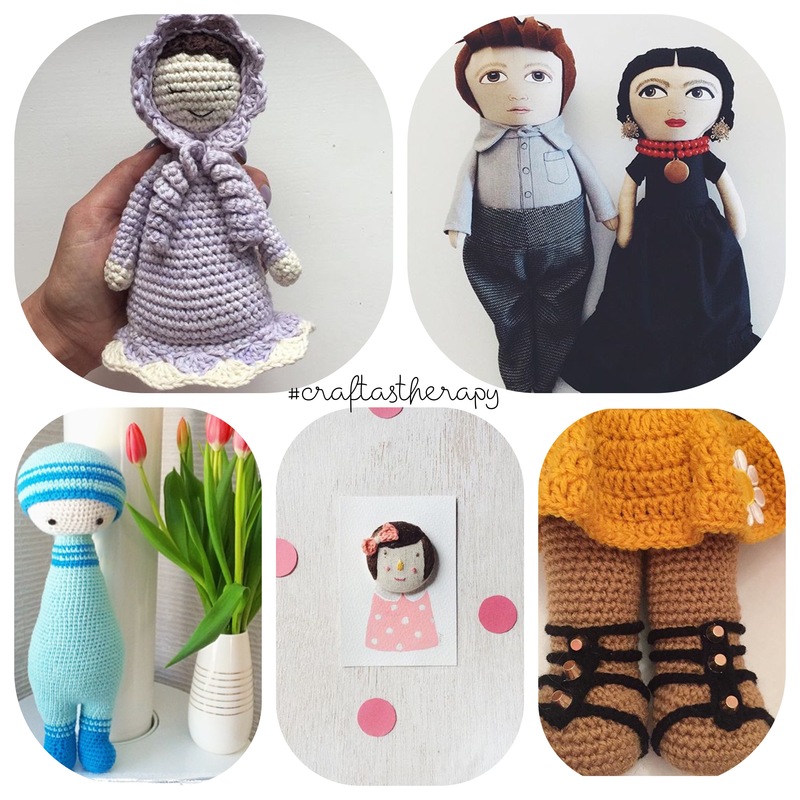 Today’s features from the #craftastherapy gallery, were some enchanting dolls, made by some beautiful crafters. And then we met Barnabee the Bumble Bee!!! And read his little story of how he bee-lieved in himself. 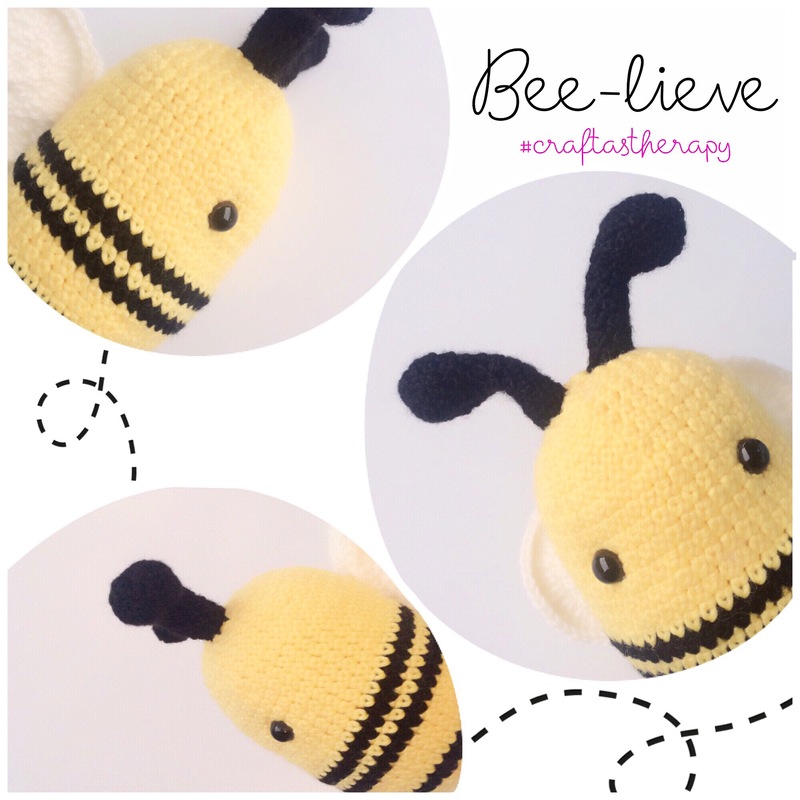 You can find a free pattern to make a baby bumble bee here by Dream Girl Crafty Creations. 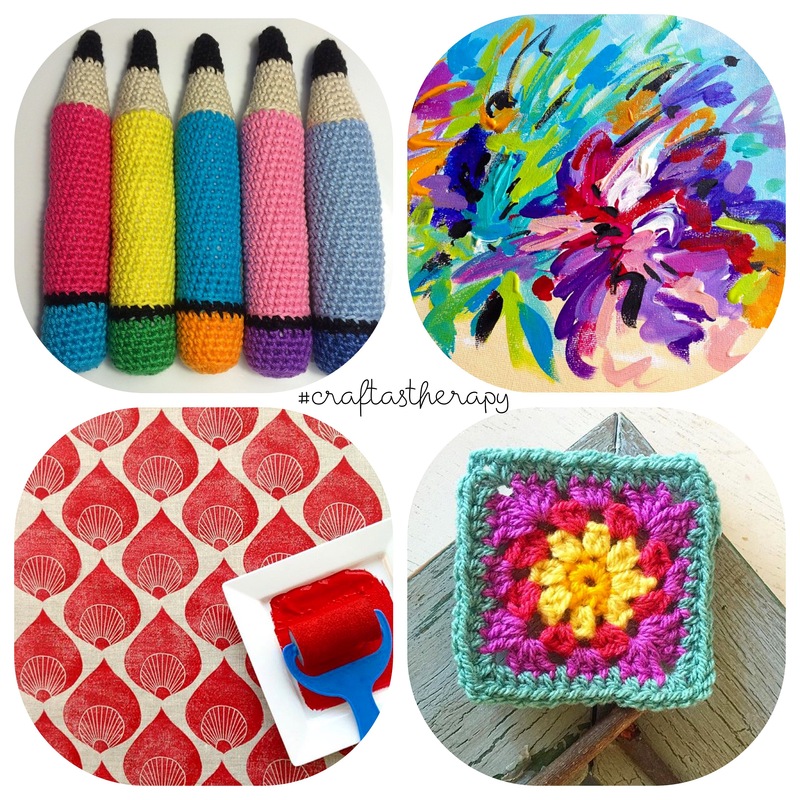 The feature from the #craftastherapy gallery was bursting with creativity!! i fell in love with the little knitted Prince William, so much detail! And those Scottie Dogs, are made from old woollen blankets. I then shared something very special to me, my friends. 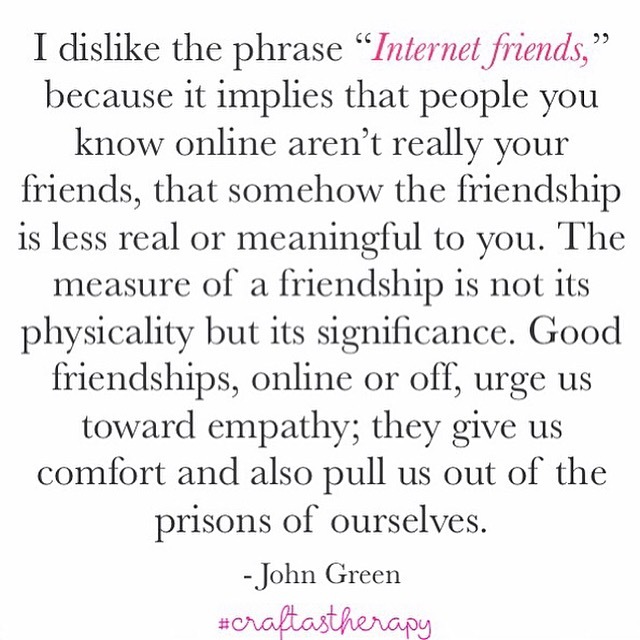 And how even though we have met on the internet, it doesn’t mean our friendships are any less meaningful. 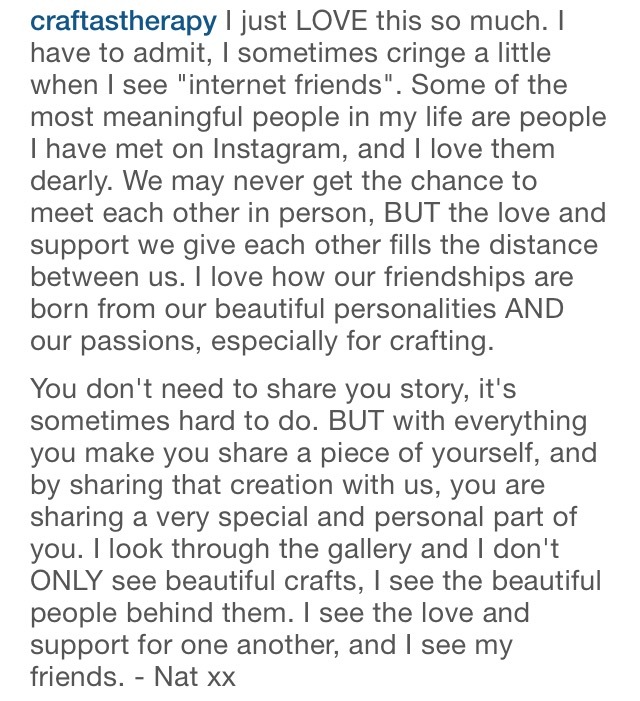 My thoughts were echoed by so many in the community, and it was so touching to read everyone’s thoughts on how they have made such wonderful friends. My final feature from the #craftastherapy gallery, and i shared how i loved my mornings wondering through the gallery with a cup of coffee and admiring everyones creations. Something I will definitely continue to do! And i said my farewells and thank you’s to a wonderful community that night. I was quite emotional saying goodbye and ending my week. A week that personally was hard, but the community wrapped me up in so much love and comfort. 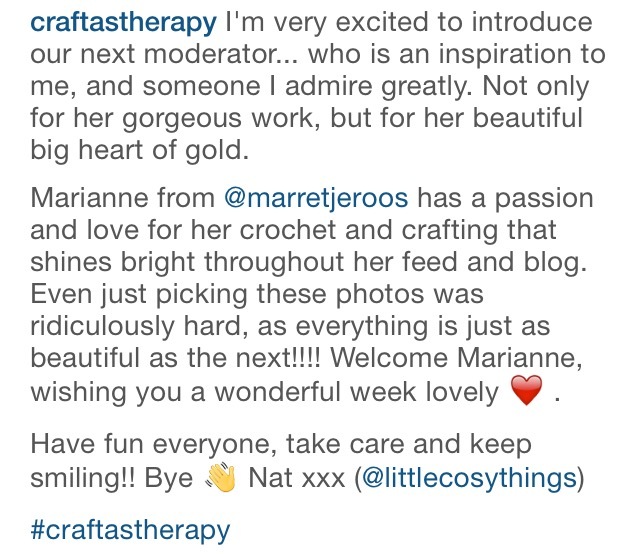 Lastly, this morning i had the pleasure of introducing my dear friend, a wonderful and inspiring woman with a heart of gold to the community as the next moderator – the beautiful Marianne from @marretjeroos and her blog here. I know Marianne’s week will be so inspiring and welcoming, and i wish her an absolute wonderful week!! And that was my week, shared with friends, with a community that has touched my heart. I cannot wait until next time. Uh-Oh.. Crojo? 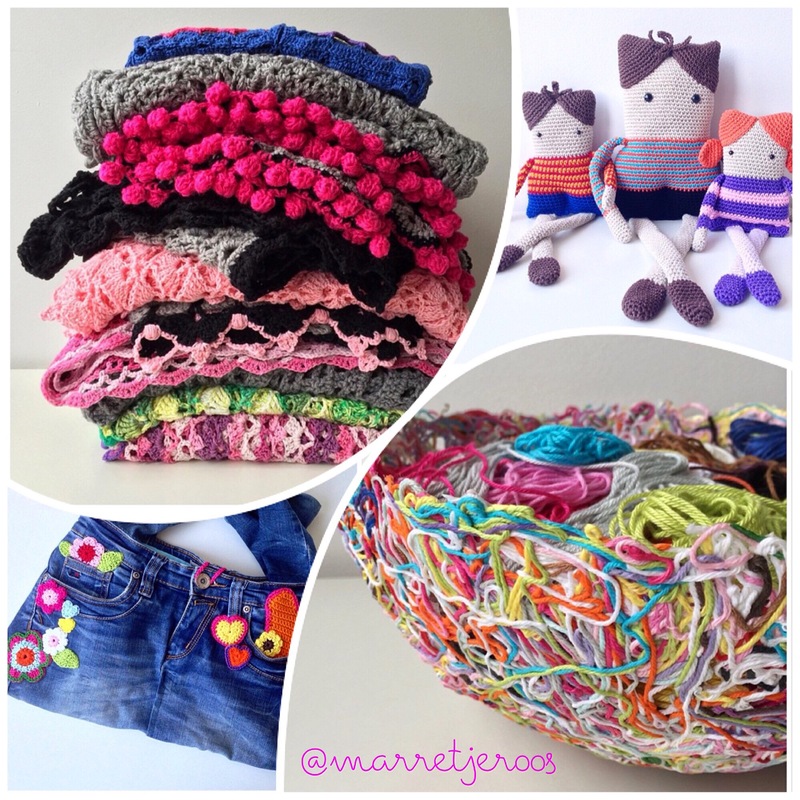 Tips for getting your crochet mojo back!! 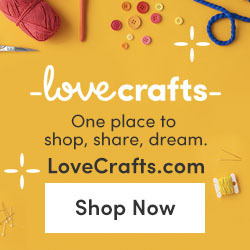 Thank you for this post littlecosythings! I now have both a new instagram account to follow and a hashtag to look up :).